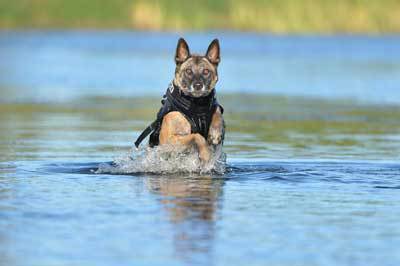 The K9 Storm Amphibious Assault Vest provides additional buoyancy in water operations. This specially designed high density neoprene K9 Storm Vest enables the canines to extend their natural swimming attributes, reduce salt water intake, and remain buoyant in rough waters. The K9 Storm Amphibious Assault Vest is designed to be used on its own or in conjunction with the K9 Storm Aerial Insertion Vest. The K9 Storm Amphibious Assualt Vest's sleek design allows your dog to preserve energy in the water and is easily detatchable at set point. 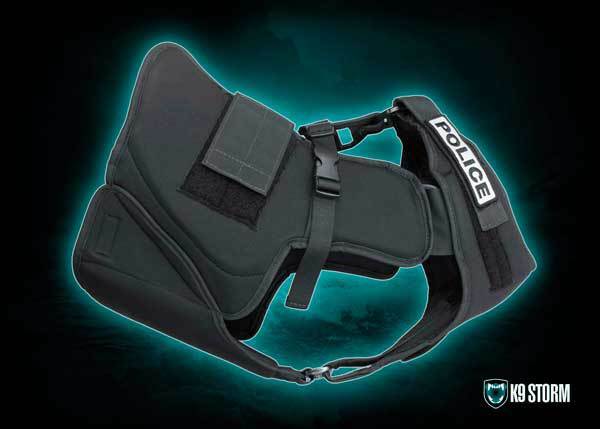 Use it in conjunction with the K9 Storm Aerial Insertion Vest to have full access to the load bearing harness system.